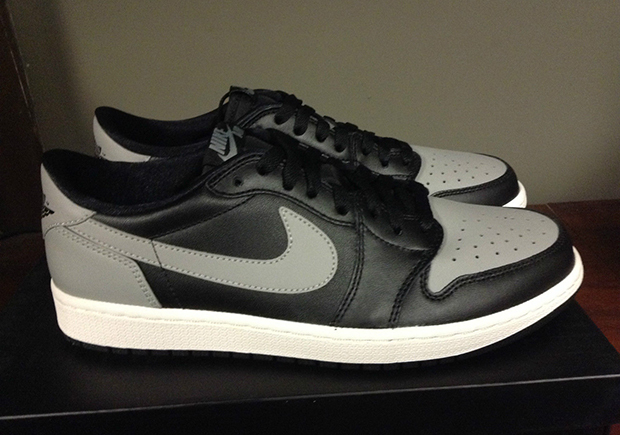 The Air Jordan 1 Low OG “Shadow” is the latest colorway of the low-top Air Jordan 1 that will be closing-out 2015. 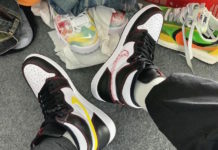 This Air Jordan 1 Low is dressed in a Black, Medium Grey, and Sail color scheme that is dubbed, “Shadow” – an iconic colorway from Jordan Brand originally used on the Air Jordan 1 Retro High. The shoe features a full Medium Grey upper with Black leather overlay and rests atop a Sail midsole and Black rubber outsole. Finishing off the details is the ‘Nike Air’ branding on the tongue, insole and wings logo on the back heel. Check out the additional images below and look for the Air Jordan 1 Retro Low OG “Shadow” to release on December 30th, 2015 at select Jordan Brand retail stores. The retail price tag is set at $130 USD. UPDATE: The Air Jordan 1 Low “Shadow” completes the brand’s releases of the iconic silhouette that debuts tomorrow, December 30th globally at shops like Titolo. UPDATE: Nike has released official images of the Air Jordan 1 Low “Shadow” that drop on December 30th. UPDATE: The Air Jordan 1 Low “Shadow” will be one of the last Air Jordan releases of 2015 that will debut on December 30th. Check out the latest images via Kix Square. 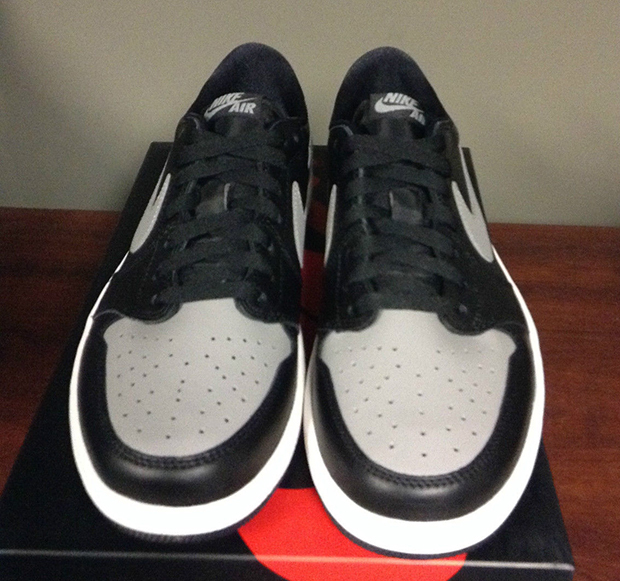 UPDATE: The Air Jordan 1 Low “Shadow” is set to debut on December 30th, but they’re currently available now via eBay. 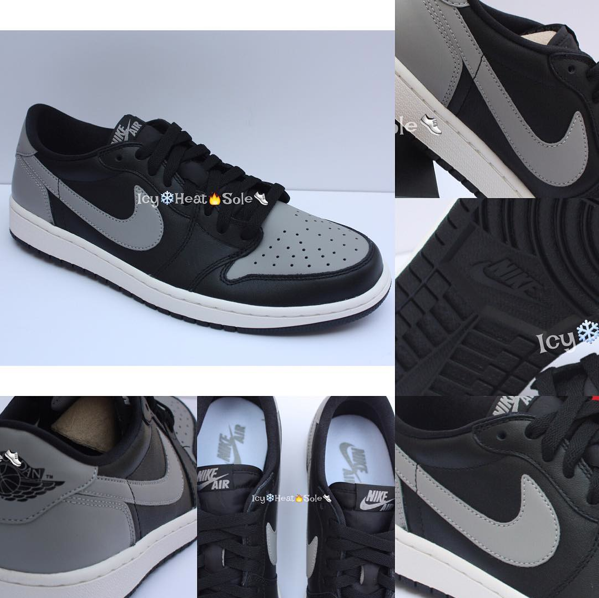 UPDATE: Here are detailed images via Shoe Palace of the Air Jordan 1 Low “Shadow” that will be dropping on December 30th.